Jackie’s specialty agency, Conscious Media Relations, provides a full suite of publicity services including book launches for authors, speakers, coaches, and leaders in the Consciousness and Conscious Business Movement. This Radio Media Tour Package is what I consider a great value for the money. • Know you have a vital message and if you can just reach more people, you can change more lives. 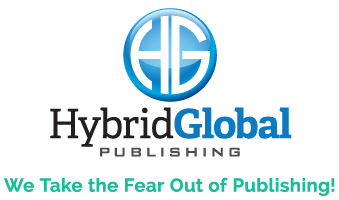 • Have a publisher without manpower or willingness to reach beyond traditional book reviewers. • Have been struggling to increase visibility, and still feel under-exposed in the mainstream and conscious marketplace. • Don’t have enough people in your opt-in list to monetize your message and future product sales. • Have a book that’s stalled in sales and you’re wondering what to do next? • Don’t have resources for a traditional market-by-market book tour. • Want to augment a traditional book tour with a cost-effective way to contact hundreds–maybe thousands– more than you can physically reach. • Have a new book, product, service or telecourse that you can’t wait to launch to a targeted and willing audience. • Want to increase your profile, brand, and visibility. • Have an event or national speaking tour coming and want to build your audience. • Want to build relationships with receptive radio hosts around the country for future promotional and joint ventures. “Jackie Lapin has assembled an amazing database of radio and internet talkshow hosts who are looking to talk to self-help and spiritual authors. She has kept me so busy with interviews that I barely have time to breathe!” –Arielle Ford, author The Soulmate Secret. As a colleague and friend of Strauss Consultants, Jackie will offer you $1,000 off the Radio Media Tour . To investigate using the Radio Media Tour, go to: http://consciousmediarelations.com/ .